The ospreys are back! Our #OspreyCam is now live at its new home at Nova Scotia Webcams thanks to our friends at Nova Scotia Power - we will continue to happily answer your osprey questions. 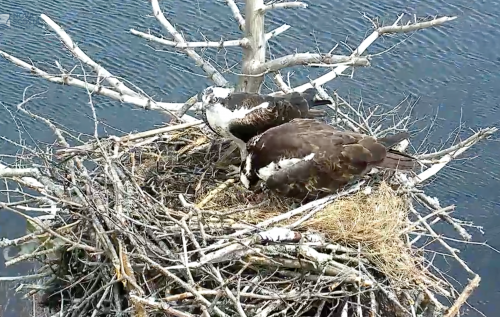 For 18 years, osprey have been returning to build a summer home on a platform constructed by Nova Scotia Power. Through this video stream, viewers may have the opportunity to watch nest building, egg laying, incubation, hatching, and feeding and fledging of the osprey chicks. Please keep in mind that the camera is to observe these wild birds in their natural environment.